This was supposed to go up on Monday, but I got too excited so it's going up now - Giveaway Time! I have put together Spring-time essentials in anticipation of one of my favorite seasons. Everything in the pic will go to 1 lucky winner! See how you can enter for a chance to be THE lucky winner in the rafflecopter below. Covergirl eyeshadow in "After midnight"
Covergirl cheekers in "true plum"
Covergirl liquilineblast in "green glow"
all in the cute gray bag! This Giveaway will run until 11:59pm PST Thursday March 5, 2015 and is open to participants worldwide. The winner will be chosen at random using Rafflecopter's random.org, verified, and contacted via email! It will be announced and displayed in the Rafflecopter widget by the Monday thereafter. Thanks for hosting this giveaway. Loving all the products! I recently started following you on Instagram and I have to tell you I love your feed! You're one of my new favorite bloggers! I love your style and spirit! Good luck to everyone! This giveaway is so cute! Thank you again Pau for hosting another giveaway. Wish me luck xo. I would love to try EOS, because, I can find it here on my country too! 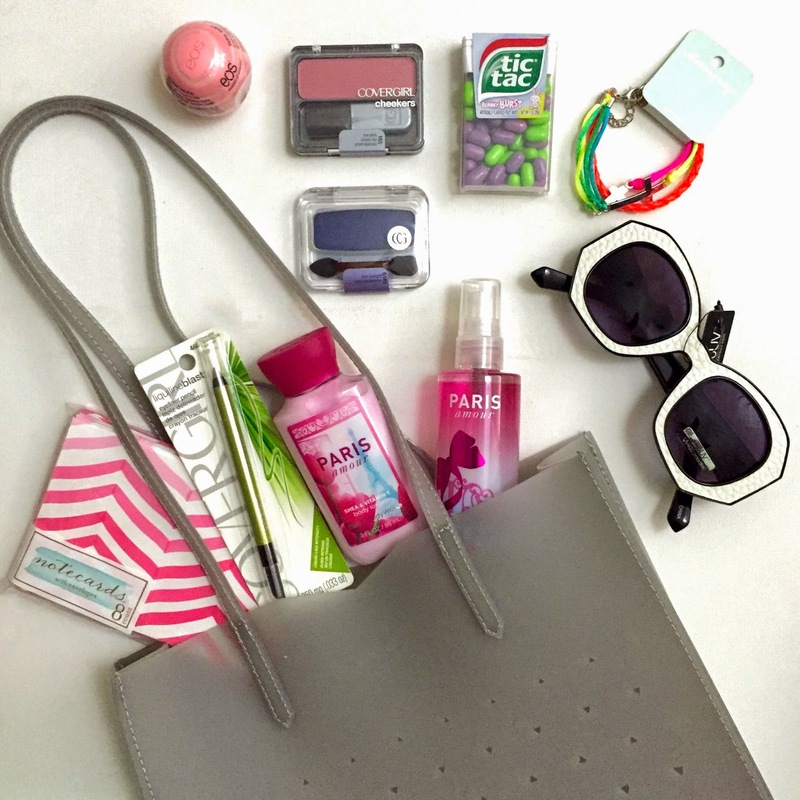 This is such a fun bag of goodies! Any lady would be happy to win this!